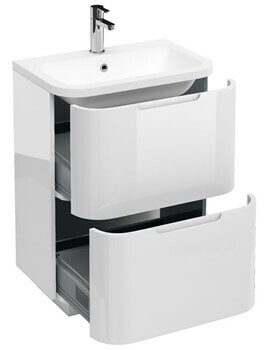 Balancing high performance and style, the Compact WC Pan from Britton integrates universal design to fit a range of bathroom spaces. 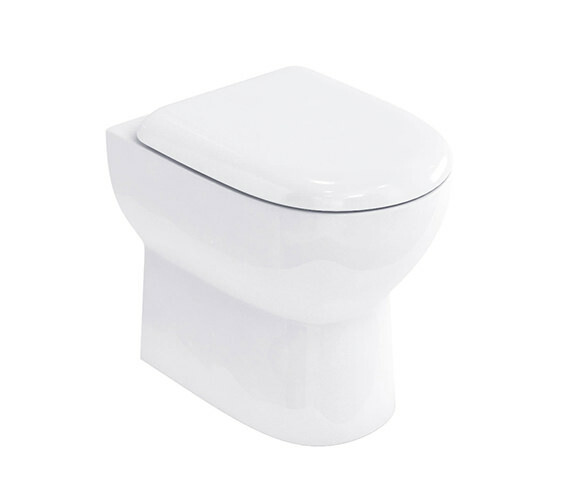 Comes complete with Carbamide soft-close toilet seat, it fits flush against the wall that makes it easier to clean as there are no gaps behind the toilet. Clever craftsmanship ensures minimal maintenance combined with optimal hygiene control. Developed from high-quality Vitreous China, it comes with an incredible 25 years of guarantee from the manufacturer. Guarantee: 25 years from the manufacturer. I needed a WC pan with a very short projection. This is the best I could see and I'm not disappointed. Very well designed and finished, it is very neat and attractive. Very good value. I recommend it. We have bought 2 of those. They looks fine, the flush works well and the soft close seat is perfect. 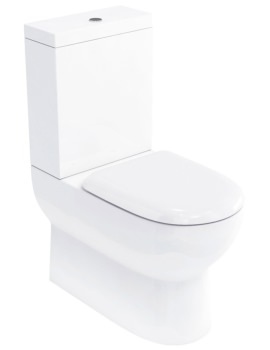 I asked question about what cistern to use for britton compact back to wall toilet and you sent me a link: https://www.qssupplies.co.uk/searchresult.aspx?searchkey=W33A#/?keywords=W33A&search_return=all&Brand=Britton. 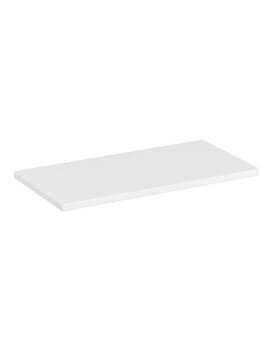 This is link for the whole packet wall hung toilet. So how this is helpfull for me? 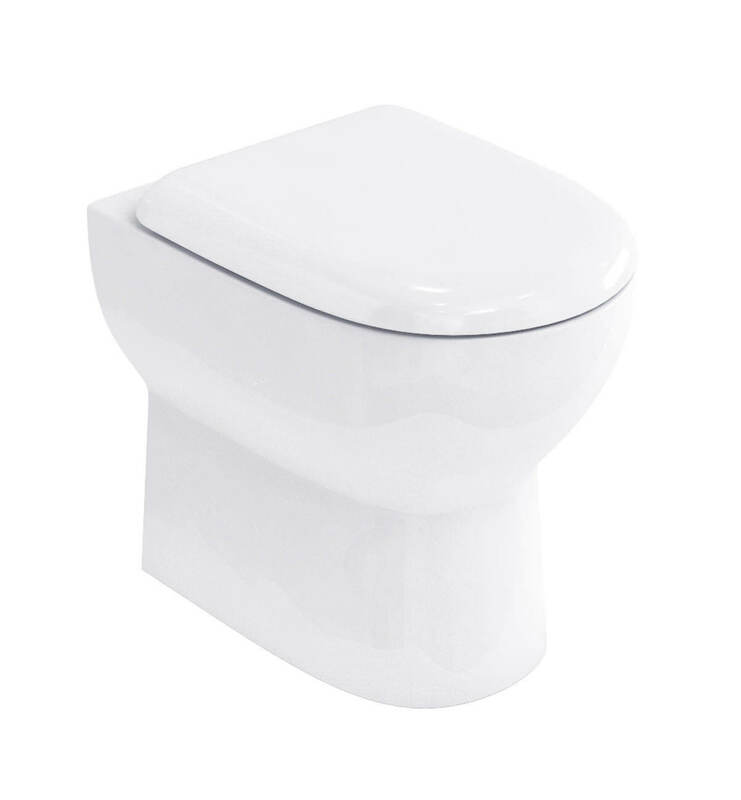 I'm not gonna buy the whole lot again and also this is wall hung toilet not back to wall toilet so I'm asking again what cistern I need to buy for this particular toilet? Sorry for the incovinence caused. 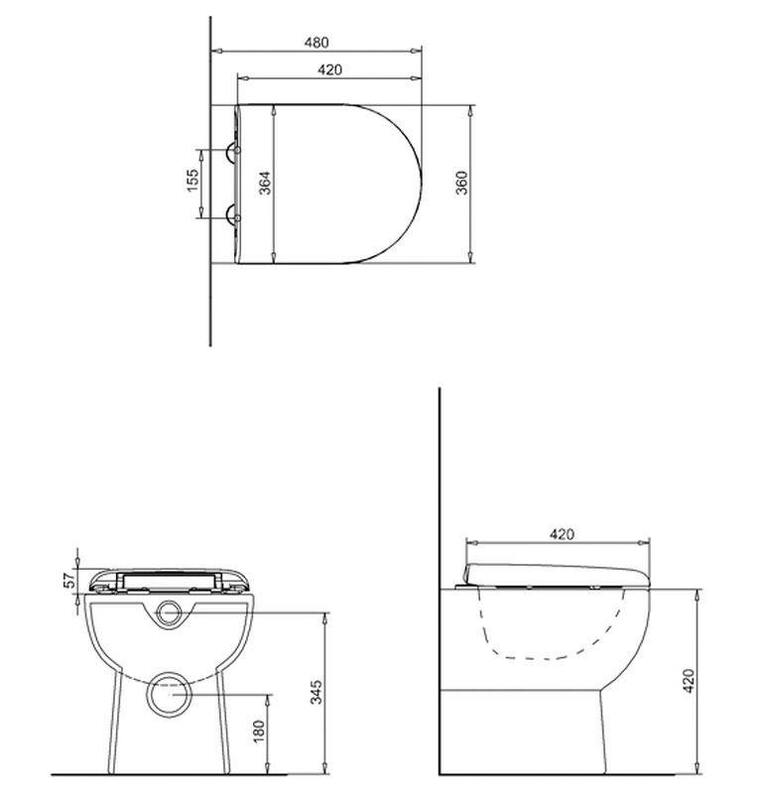 We have provided the concealed cistern option above OP-95439, which is compatible with this toilet. However, this is available as an option. If you need to buy just this optional product, you need to call us at 0116 251 0051 and just place the order for optional product. 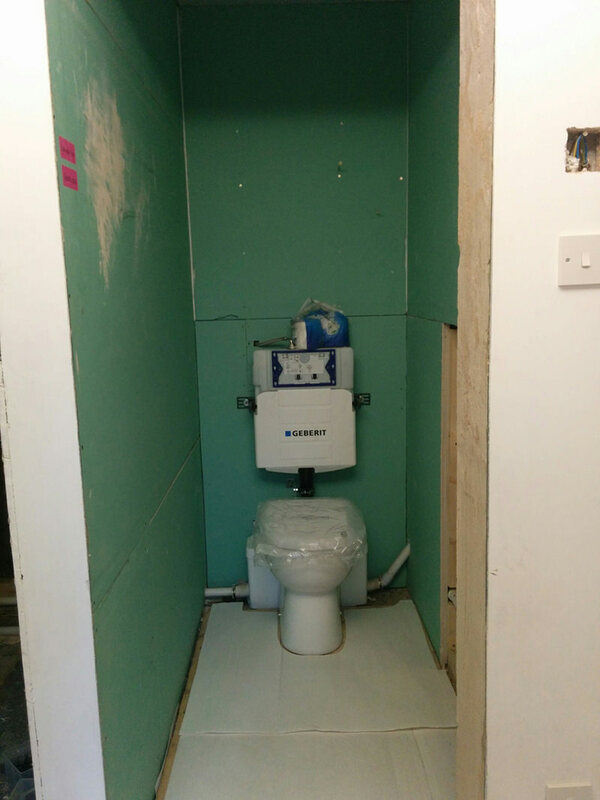 What kind of cistern is suitable for this toilet? 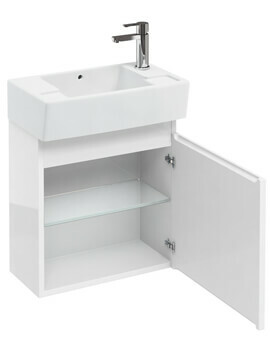 You would require a steel frame (coded W33A) and also the concealed cistern (coded W32A), PLease refer this URL (https://www.qssupplies.co.uk/searchresult.aspx?searchkey=W33A#/?keywords=W33A&search_return=all&Brand=Britton). Yes, the seat has a quick release in the middle of the seat between the hinges. This quick release button can be pushed and the seat will release upwards away from the hinges.